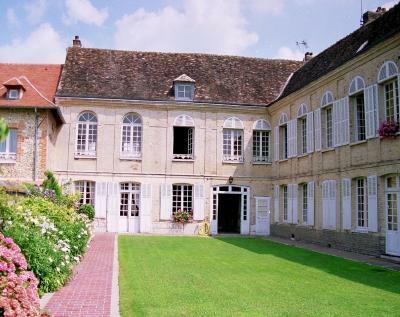 La Berverie is an old brick and half-timbered mansion house, right in the centre of the old town of Les Andelys and its garden is overlooking the river Seine. 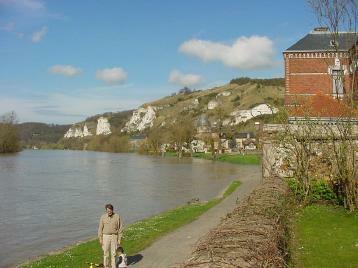 The famous Chateau-Gaillard castle built by William the Lion Hearted is just above, and you'll be able to walk to it. 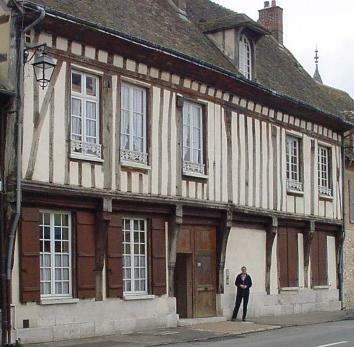 Still closer, you will find the Saint-Sauveur Church (dating back to 1202) and several restaurants. The beauty of the spot is given by the meander of the river Seine with ducks and barges, by the path along the river (part of the GR2). You'll find there both urban facilities (restaurants, shops, public swimming pool and tennis court in the vicinity) tourist attractions and museums, and country life activities (hiking, rock climbing, golf course, sailing and equestrian centers). 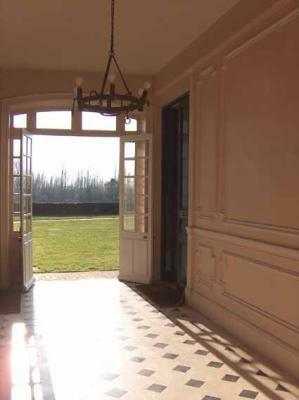 At La Berverie you are only 100 km from Paris, 50 km from Rouen and 25 km from Giverny. You will feel comfortable and at home in La Berverie with almost as many friends or relatives you wish. Tourist taxes are due per person aged 18 or over. The taxe is 0.85 euros per person and per day all year long and may change without notice. Regular Week-end : check-in on Friday from 6:00 pm, check-out on Sunday before noon. 3 or 4 days Week-end if you wish to stay longer or in case of French bank holiday week-ends. Mid-week (without any bank holiday) from Monday 6 pm thru Friday before noon. Full Week : week-end + midweek or midweek+ week-end i.e. from Friday 6 pm thru the following Friday before noon or from Monday 6 pm thru the following Monday before noon. If you don't want to care about cleaning when leaving, choose Comfort formula. Prices do not include sheets and household linen. For 25 euros per person, you will find bathroom towelling provided and beds made at your arrival. (please inform us when booking). For 18 euros per person, sheets and towelling will be put at your disposal. You can also choose to come with your own sheets and towels. Coming from highway A13 (Paris or Rouen) exit 17 "Gaillon Les Andelys", then follow direction "Les Andelys" (17 km).